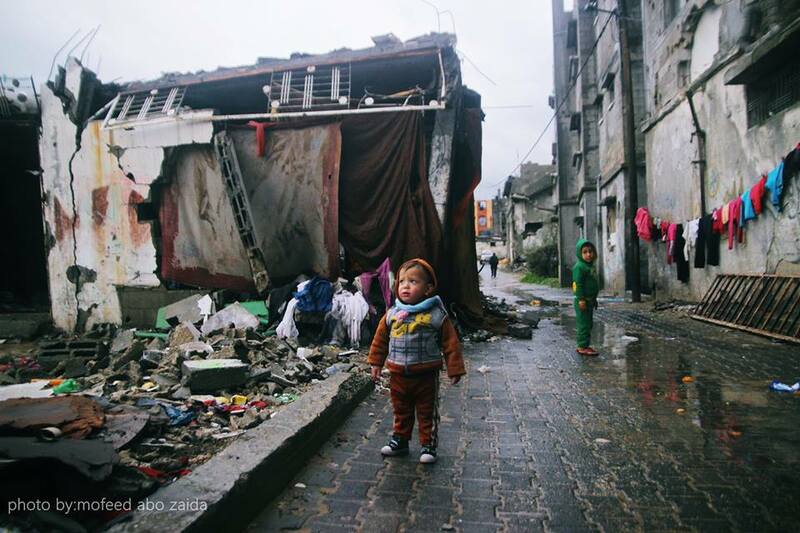 While war and violence rips holes out of the world..Gaza continues to tread rubble, mud, filth and misery. This is Gaza now in the rain and freezing storms that are sweeping the country. This is the legacy of Israeli violence and tyranny. This is the legacy of International betrayal and abandonment. “Baby Salma died of hypothermia at just 40 days old. Her body was drenched with freezing rainwater. It was frozen “like ice-cream”. Gaza was hit by a severe winter storm called “Huda” in January. Salma was its youngest victim. I meet Salma’s mother, Mirvat, and 14 members of her extended family in the very place, indeed the room, where Salma slept during her last night at home. 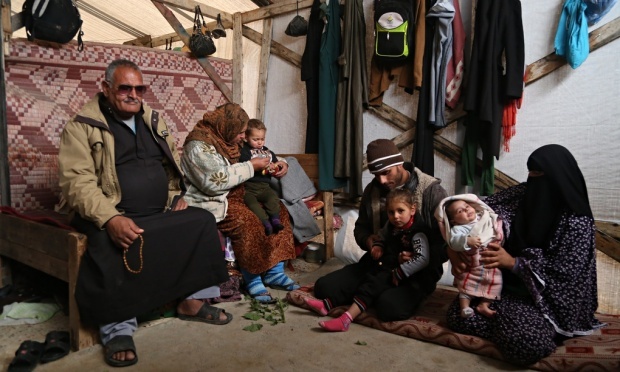 They still live there in Beit Hanoun, northern Gaza, in a tiny three-room wooden structure, covered with plastic. When I see it from the road, I assume it houses animals. The door is a blanket which flaps in the biting wind. It is raining. Water flows in. Mirvat pulls back the sodden carpet that serves as flooring and scoops the wet sand below. Memories of Salma’s death on 9 January are painfully fresh. During the Gaza conflict last summer, Mirvat, her husband and four children lived in a complex of five simple buildings with their 40-member extended family, just one kilometre from the barrier between Gaza and Israel. 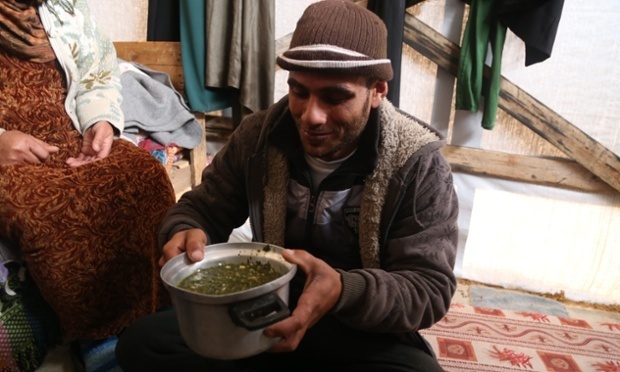 Her father-in-law, Jibril, knew that life on the frontline was unsustainable. The family tragedy does not end with Salma. Her sister Maes, aged three, is in hospital suffering from respiratory problems brought on by exposure to harsh weather. “I worry that Maes will die like Salma,” says Mirvat. Jibril is correct. UNRWA, the agency for which I work, was forced to suspend what for this family would have been a life-saving programme just three weeks ago. 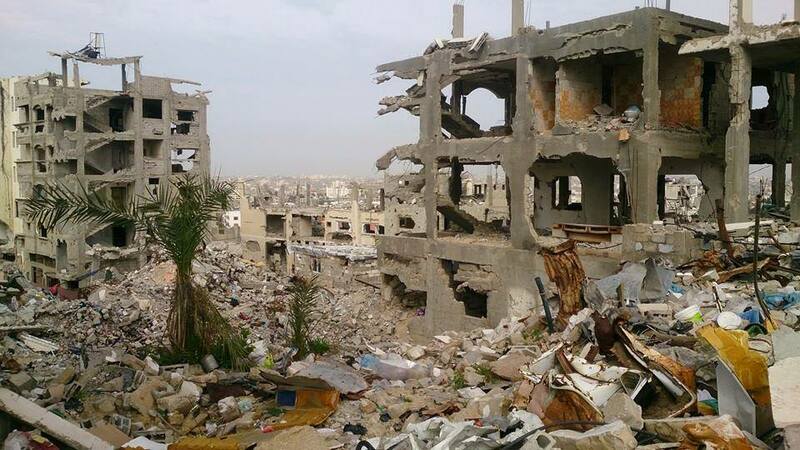 After the conference in Cairo last October at which donors pledged $5.4bn to rebuild Gaza, we created a $720m project. With the generous pledges at Cairo we were certain the funds would be there. Or so we thought. With this money, we aimed to give rental subsidies to people whose homes were uninhabitable. We hoped to give cash so people could repair and rebuild their houses. But the billions pledged did not materialise and the programme was left with a shortfall of nearly $600m. The day after we announced suspension of the cash assistance, anger boiled over. The office in Gaza of the UN special co-ordinator for the Middle East peace process was attacked. The threat of violence remains. You can feel it in the air, just like last summer. Certainly the need is great and the sense of desperation is palpable and profound. We estimate that approximately 100,000 housing units were damaged or completely destroyed, affecting hundreds of thousands of people. Many of those with homes that are habitable have found themselves on water and electricity grids that are dysfunctional. 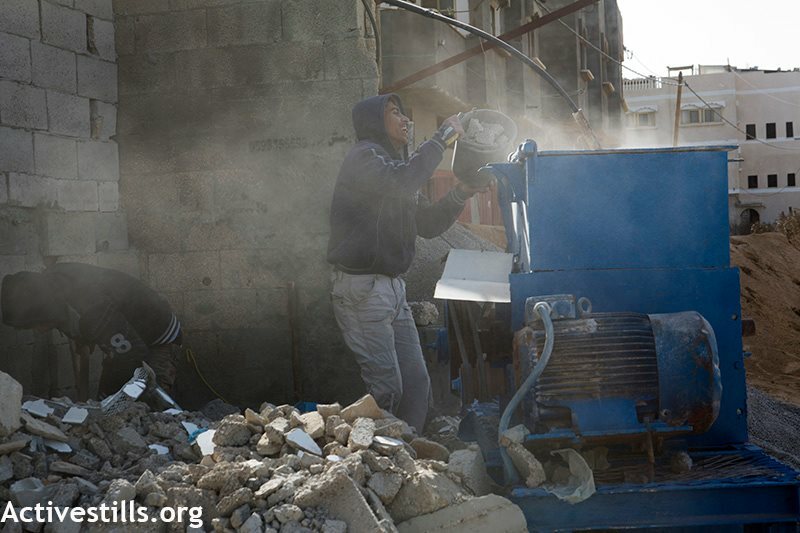 Rebuilding Gaza physically is only part of the story. If Salma and Moemen had lived, what future would they have had? The next generation in Gaza is traumatised, shocked, brutalised. The recreational spaces where they play are littered with some 8,000 pieces of unexploded ordnance. The UN estimates that some 540 children were killed in the conflict, many in their own homes. UNRWA could not provide safe sanctuary. Our schools took direct hits on seven occasions. Children died in and around classrooms and playgrounds under the blue UN flag. Almost every child in Gaza has a family member or friend who was killed, injured or maimed for life, often before their eyes. One thousand of the 3,000 children injured in the conflict are likely to have physical disabilities for the rest of their lives. Had Salma and Moemen lived to adulthood, they would have entered a job market with an unemployment rate which hit an unprecedented 47% in the third quarter of last year. Average power blackouts are 18 hours a day. Around 90% of all water in Gaza is undrinkable. Gaza is not a natural disaster. It is man-made, the result of deliberate political choices. Different choices must now be made. What is the point of rebuilding a place while condemning its population to the indignities of aid dependency? The situation teeters on the brink of another major crisis, with worrying implications for Palestinians and Israelis. Funding for humanitarian operations is urgently needed, but such assistance will only mitigate the worst impacts of the crisis. People in Gaza need urgent change: they need all parties to the conflict to abide by their obligations under international law; the removal by Israel of all obstacles to the enjoyment of human rights; and the immediate lifting of the blockade, allowing imports and exports, a necessary step to enabling economic recovery. The rockets fired from Gaza must cease. There is an urgent need for Palestinian unity, so that the Palestinian Government of National Consensus can assume its governance and security functions in Gaza. The Middle East Quartet should exert effective political pressures, as the time for humanitarian action alone is long past. I urge donors to translate their pledges at the Cairo conference into actual disbursements, and for the international community to promote and demand compliance with international law. Most importantly, parties to the conflict have obligations to protect civilians. Those found guilty of violations should be held accountable and brought to justice. February 22, 2015 in Gaza.